– Professional tennis player Caroline Wozniacki talking about how her marathon training for the 2014 New York City Marathon helped her have the endurance to beat Maria Sharapova in a 3-hour and 15-minute tennis match. 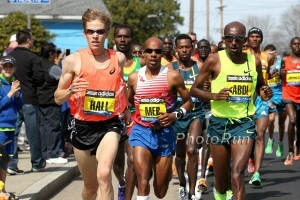 Why no American men under 2:10 in marathon? Hardest workouts you have ever done? What did you do / change in your training before your biggest breakthrough? 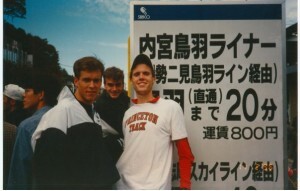 We recap the week of pro track and field: "Look at Mills, Look at Mills!," the marathon world record is dropping faster than ever,the Canadian marathon record lives on, a big week for Nick Symmonds, a bad week for Jeff Demps, and what about the OSU runner who flipped off Justin Gatlin?Plus we talk about Steve Scott's manhood battle with cancer. 2014 US 200m Champ Jeneba Tarmoh Thinking About Switching Nationalities To Represent Sierra Leone At Rio 2016 Tarmoh’s parents immigrated from Sierra Leone shortly before she was born. Cool Video: The World’s Toughest 400 Race The “Red Bull 400” in the Czech Republic goes straight up a ski slope with 200m vertical gain over a 400m race. 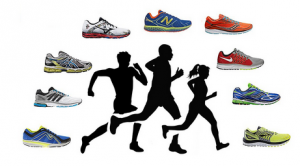 Should The Half Marathon Have A New Name? Should it be called “Pikermi” after a town in Greece that is about halfway between Marathon and Athens? Kenyan First Lady Margaret Kenyatta Launching Second “First Lady’s Half Marathon” To Raise Money For Better Healthcare The race will be on March 8th. Haile Gebrselassie Pulls Out Of Sunday’s Great South Run He says he’s had setbacks in his training which have forced him to pull out. Olympic Gold Medalist Cross-Country Skier Bill Demong Trying To Run 2:36 At New York City Marathon He’s wanted to run a marathon for a long time, but knows XC skiing fitness won’t necessarily make him fast. Funny Picture Of The Indian Marathon Leaders Who Got Lost And Ended Up Running In Traffic They ultimately stopped running and took a bus to the finish line. Family Of Runners: Five-Year-Old James Reed Runs 24:08 5K To Break Single-Age World Record He broke the previous record by 2:09 while his sister Lauren was in the same race and set a Georgia state record for 9-year-olds with 20:52. 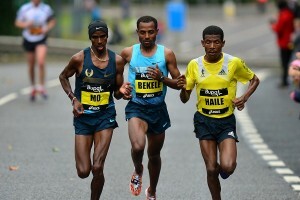 They also had their father and two other siblings in the race. Kenyans Hillary Yego And Nancy Joan Rotich Will Return To Defend Their Titles At The Athens Marahton On November 9th Yego will face Raymond Bett; both have 2:11 PRs. BBC: Steenkamp Family Say Through Lawyer That “Justice Was Served” Article includes embedded twitter reactions to the sentence. National Prosecuting Authority Spokesman Says They Have 14 Days To Appeal, But Haven’t Decided Yet He also said he believes South Africa will be satisfied with Oscar P’s sentence. Big Money: Max King Wins Warrior Dash World Obstacle Championships He took home $30,000 in prize money. Not bad for winning an obstacle race. *Full Results 10:06 9:51 steepler Kimber Mattox won the women’s race with Renee Baillie and Julia Webb 2nd and 3rd. *King Beat Would-Be Sub-2 Hour Marathoner Hobie Call Pretty hilarious interview you might remember from a couple of years ago. Ben Bruce Wins His Fourth Rock ‘N’ Roll Marathon This Year In St. Louis Bruce won in 2:27:32 while Lindsey Scherf won the half in 1:17:30 and Scott Wietcha won the men’s in 1:05:51. In-Depth Interview With US Marathon Champion Tyler Pennel If you want to get to know the 2014 marathon champ who won in his debut (2:13:32), then this is a good place to start. Complex Opinion And Analysis Article: Should College Athletes Be Paid? 2:04:32 Man Tsegaye Mekonnen Leads Field Of Ten Sub-2:09 Men For Sunday’s Frankfurt Marathon His top competition will be Vincent Kipruto (2:05:13). CR holder Meselech Melkamu (2:21:01) leads women’s field as she faces Aberu Kebede (2:20:30) and Sharon Cherop (2:22:28). 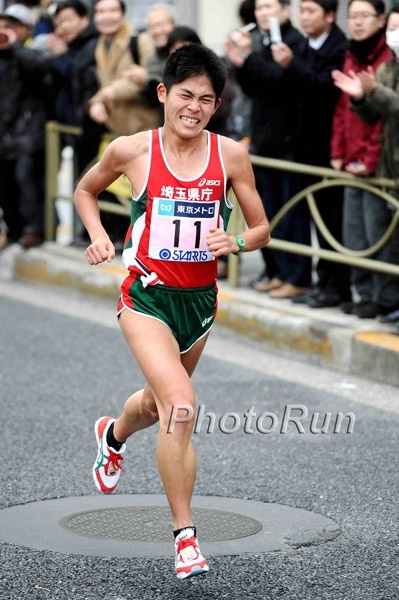 Yokohama International Women’s Marathon To Be Discontinued After This Year’s Race The race is being stopped due to financial difficulties and also likely the starting up for a mass-participation race, the Yokohama Marathon. The Science Of Sport’s Ross Tucker: “What (Not) To Say When Doping Accusations Come Knocking” An interesting question. When dopers get caught, they all have the same lame excuses. So if you were ever truly wrongly accused, what should you say? 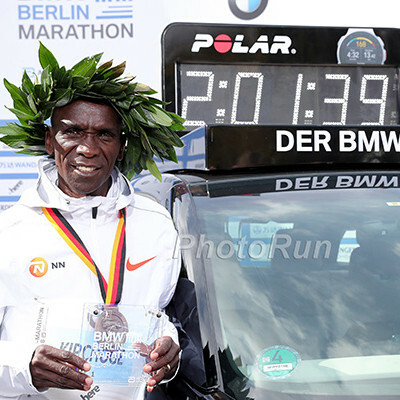 AK Head Isaiah Kiplagat Says Kenyan Athletes Are Being Targeted Unfairly For Doping He goes on about how most Kenyans who have been caught are just victims of foreign coaches and doctors. Sports minister Hassan Wario, on the other hand, feels AK isn’t doing enough to fight doping. Study Finds Sugary Sodas Appear To Contribute To Aging One 20-ounce can a day can lead to 4.6years of extra aging. Study Says That Red Bull Does Nothing To Improve Isometric Muscle Performance No difference in max force or muscular endurance compared to drinking a placebo. Oscar Pistorius Banned From Competing At Rio 2016 Paralympics Even If He Is Let Out Of Jail Earlier He could, however, compete at Tokyo 2020. Reeva Steenkamp’s Mother: No Closure “Unless You Can Magic Her Back” She also said it “didn’t matter” Pistorius could be out of prison after 10 months. “He’s going to pay something,” she said. Men: Colorado Continues Streak As Unanimous No. 1 In Final Regular Season Coaches’ Poll Oregon stays #2 while Syracuse made a big jump up from 6th to 3rd and Iona from 14th to 5th. Previous #3 and last year’s runner-ups NAU move down to 10th. Women: Michigan State Emerges At No. 1 In Division I XC National Coaches’ Poll Previous #1 Michigan moves down to 4th while Georgetown moves up to 2nd. 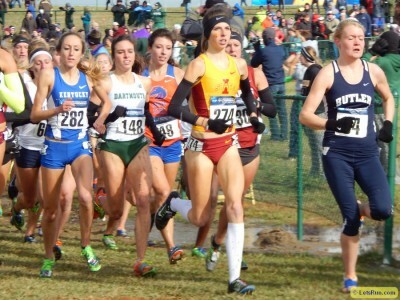 The two biggest races of NCAA cross-country's regular season - the adidas Wisconsin Invitational and the Pre-National Invitational - are in the books and they produced a ton of data for us to analyze. We make sense of it all and give you eight takeaways from the weekend's action. More: Ranking Update: Wisconsin & Pre-Nats Produce Significant Shift In DI Regional Rankings Michigan State moves ahead of Michigan in the Great Lakes region. Stanford’s Maksim Korolev And Iowa State’s Crystal Nelson Are DI Athletes Of The Week Korvolev and Nelson won their respective races at Wisconsin Invy. IAAF Work, Rest And Play Interview With Nick Symmonds Symmonds says his least favorite workouts are long sessions like 1,000m to mile repeats or tempos. When he was with OTC, he used to run them with Sally Kipyego and she would run away from him. Another Good Article On Jo Pavey, Who Had An Amazing Track Season As A 41-Year-Old Mom Even if you’ve been reading about Pavey all summer, this article has some new, interesting anecdotes including talking about her junior coach who is now blind, but still listened to her race on the radio. Kenyan Silas Cheboit Wins Gyeongju International Marathon In South Korea With 2:07:15 This was Cheboit’s 2nd marathon and he only had a 2:19 PR so had to pay for himself to get to the meet as he wasn’t an invited athlete. Oscar Pistorius Spends His First Night In Jail He was placed in a single cell in the hospital wing where 8 other disabled inmates are held away form the regular prison population. Group Of Runners In South Carolina Hear Screams And Find Woman Who Had Been Missing For 4-Days She was found trapped in a ravine and had to be pulled out by rescue workers. Her parents say that someone put her there and “left her to die”. Academic Advisers At UNC Get Caught Encouraging Athletes To Take “Sham Classes” As GPA Boosters Apparently this went on over an 18-year period. One of the classes would let students write one 10-page paper in place of ever having to go to class or contribute to discussions. Flocasts Using Its Recent $8 Million In Funding To Expand Into Other Sports They might move into volleyball or lacrosse. The book by the 2013 World Championships silver medallist and third-fastest American of all-time at 800 (1:42:95) is out today. It's a good read. 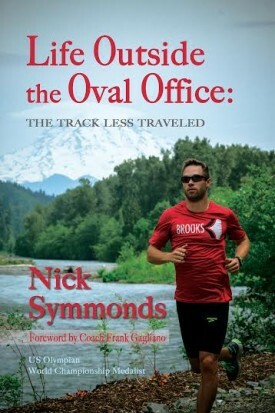 Symmonds is forthcoming and doesn't pull many punches, explaining what goes on at the Olympic Trials once the racing is over, why he pulled stunts such as asking Paris Hilton on a date or selling ad space on his left shoulder, and why he signed with Brooks in January. He even goes into (too much) detail about his love life. Track Wins 3 Out Of 12 Awards At The Golden Podium Awards The competition highlights the best sports video sequences of the year. 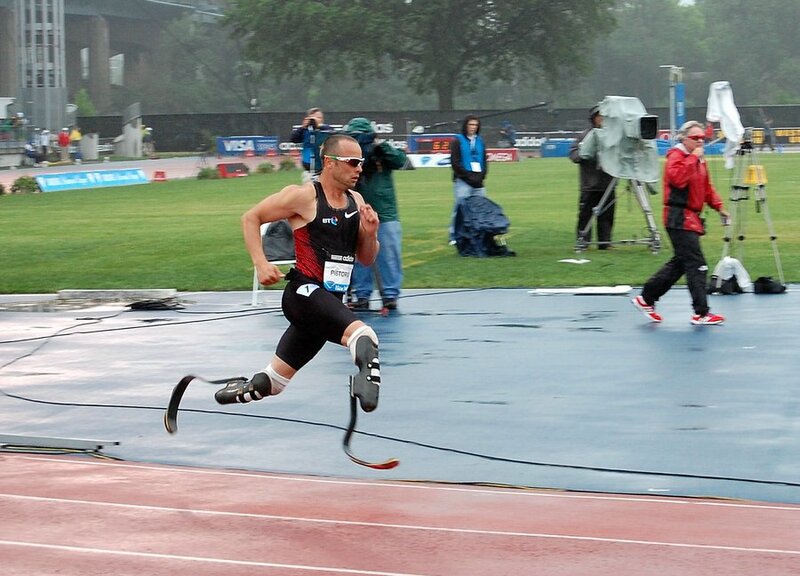 One of the awards was won by a video of the US’s 4 x 100 baton exchange at World Relay Champs. The three videos are here, here and here. Spikes Mag Gives A Quick Rundown Of The 6 AOY Finalists Dennis Kimetto, Mutaz Essa Barshim and Renaud Lavillenie for the men. Genzebe Dibaba, Valerie Adams and Dafne Schippers for the women. Athletics Canada Announces New Identity And New Bilingual Logo The logo is pretty cool. Laban Korir (2:08:15) & Mulu Seboka (2:23:14) Win 2014 Scotiabank Toronto Waterfront Marathon (updated with article) Korir has a 2:06:05 PR. 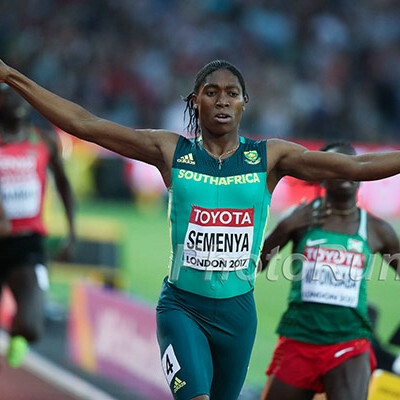 ; it was the third win on the year for Seboka. Canadian Eric Gillis PRed at 2:11:22. *Video: Is Beijing The World’s Unhealthiest Marathon? As runners cross the finish line, you can see they were visibly affected by the smog. 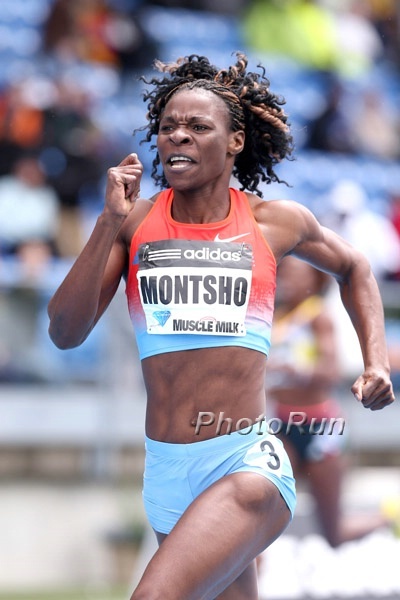 Amantle Montsho Seeing Psychologist For Counseling To Deal With Positive Drug Test Montsho has asked for a hearing and the Botswana Athletics Association hopes her case will be done in the next two months. Ireland’s Fionnuala Britton Prepping For Euro XC Champs And Hoping To Regain The Title She Lost Last Year When She Was 4th Her attitude about World XC was disappointing as she said, “I’d like to do the world cross-country but it’s in China. 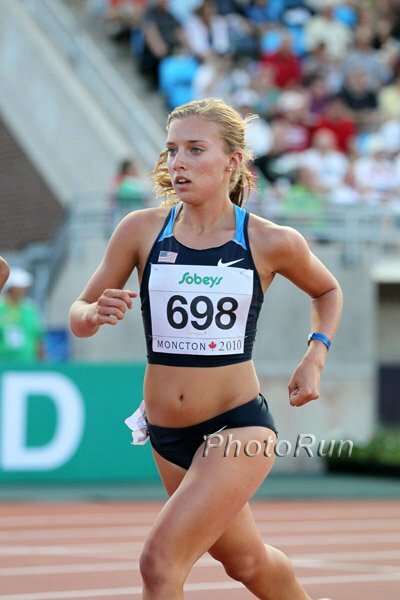 It’s not like just going over to Poland.” Does she know where 2015 Outdoor Champs are? UK 41-Year-Old Jo Pavey Targeting Her Fifth Olympic Games In Rio 2016 Pavey had thought about retiring after this year, but then she medaled at Commonwealth Games and Euro Champs and that changed her mind. Chaos At Indian Marathon As Leaders Miss Turn And Take Bus To The Finish Line The top 3 were taken off course by the lead vehicle and ran 4K in the wrong direction. Apparently they borrowed money from spectators for the bus, but we don’t know why the lead car couldn’t take them. 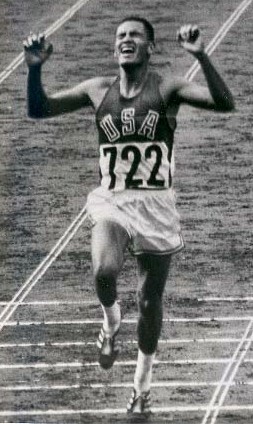 American Mile Legend Steve Scott Being Treated For Prostate Cancer Scott, the former AR holder in the mile, broke four 137 times in his career.